The bottle can be a good promotional product. The bottle has developed over millennia of use, with some of the earliest examples appearing in China, Phoenicia, Rome and Crete. Bottles are often recycled according to the SPI recycling code for the material. A bottle is a rigid container with a neck that is narrower than the body and a mouth. Bottles are often made of glass, clay, plastic, aluminium or other impervious materials, and typically used to store liquids such as water, milk, soft drinks, beer, wine, cooking oil, medicine, shampoo, ink, and chemicals. A device applied in the bottling line to seal the mouth of a bottle is termed an external bottle cap, closure, or internal stopper. The bottle can be a good promotional product. 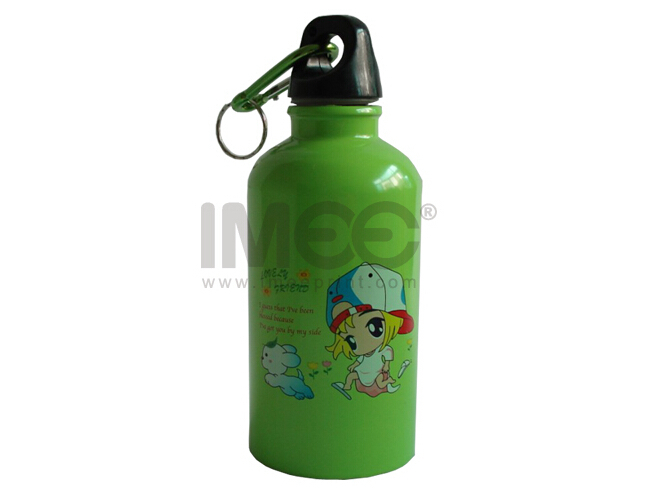 Color printed Bottle contains your company LOGO and simple contact. It is one of the best ways of a non-pushy way of promoting your business because it is used every day by customer. How impressive your company’s information to them! Printed custom bottle in colors are perfect for everything from trade show giveaways.